I love me some Leigh Bardugo. Seriously. She is super sweet and smart and her books are amazing. I fell completely in love with the Shadow and Bone trilogy, and I have a Six of Crows poster just above my desk. So of course I was over the moon to hear that she was telling a Wonder Woman story. And it was so good, guys! Everything that I love about Leigh's writing was in strong showing: the witty banter between characters, the rich world-building, the high stakes of saving the world, the romance. Leigh took a character that I was already familiar with and made me love her even more. Even though Diana is a powerful Amazon, she was written in a way that made her relatable. I felt I could understand her frustrations in the beginning of the story and the desires that fueled her throughout. I really loved how she looked at the human race and saw the beauty in it. At one point in the story Diana warily thinks to herself, "This is too easy..." and I was feeling the same doubt and apprehension. And then -- BAM! -- plot twist! I wasn't expecting it, of course (I never do), so I completely blown away. But Diana wasn't the only wonderful woman character in this story. I would choose Alia and Nim to be my sisters in battle any day! They were fully human, compared to Diana and other characters, but their humanity was their strength. It was really very cool. 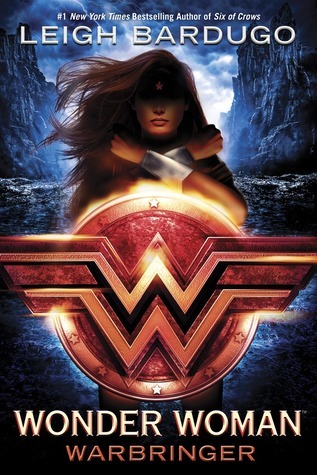 Wonder Woman: Warbringer had some jaw-dropping and fun-to-read scenes in New York City and Greece. I cannot rave about this book enough. Just do yourself a favor and pre-order it. Or go out on August 29th and pick up a copy.